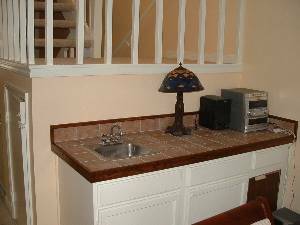 This lovely townhome sleeps ten in one king, one queen, 1 twin over full bunk, 1 twin and one queen sleeper. 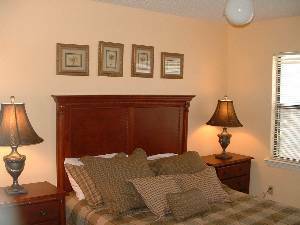 It has recently been completely renovated with new paint and ceramic tile flooring on both levels and all new elegant furnishings throughout. 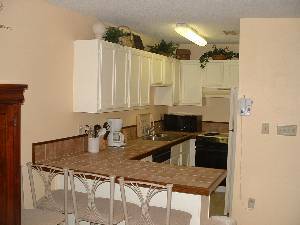 All three bedrooms are quite large with each having it's own private tiled bath. 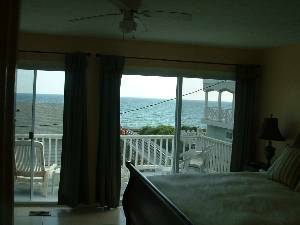 The master bedroom has a panoramic view of the gulf from it's wall of double 8 ft. sliding doors and an 8 by 16 foot deck for sunning and watching the often present dolphins playing in the gulf. 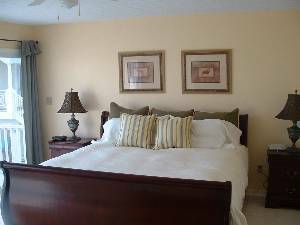 A first floor queen bedroom with private bath provides a convenient no step sleeping area for older vacationers. 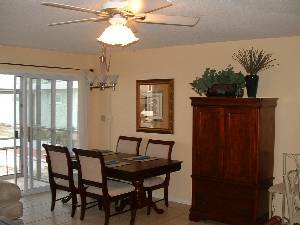 A wet bar in the living area and a large screened porch off the living/dining area is perfect for lounging, dining, barbecuing and enjoying the gulf breezes makes entertaining convenient. 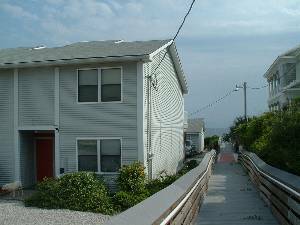 Each bedroom and living room has televisions with DVDs plus FAST ACCESS CABLE INTERNET makes off beach hours fun and entertaining. But the best part .....Your cherished pet is WELCOME at Dolphin Watch! Cancellations and Refunds: CANCELLATION POLICY Cancellations must be made 90 days prior to arrival for refund of deposit less the administration fee. If you book within 90 days of your arrival date, you will have two weeks from the time you make the reservation to cancel with a full refund of your deposit less the administration fee. 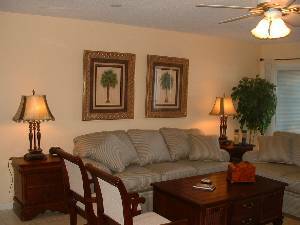 If you cancel after final payment has been made and if we are able to re-rent the property, your rental fees and deposit will be refunded less the administration fee of $25. REFUND/SEVERE WEATHER POLICY Refunds will not be given for late arrivals or early departures. If hurricanes or other extreme weather conditions occur the County Emergency Management Offices of North West Florida in conjunction with the National Weather Service (www.nhc.noaa.gov) may issue a mandatory evacuation notice. Only at that time, will refunds be pro-rated from the time of your departure. If no evacuation notice is issued by either of these government agencies and you choose to leave before the end of your reservation or to cancel because of the potential threatening weather, neither refund nor compensation will be made.